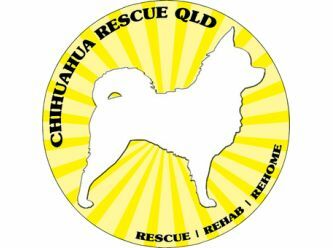 Chihuahua Rescue QLD Inc. is not a first to apply rescue group.We re-home our dogs based on the best possible family we can find them. The first step to adopting a dog from us is to fill out an expression of interest form. 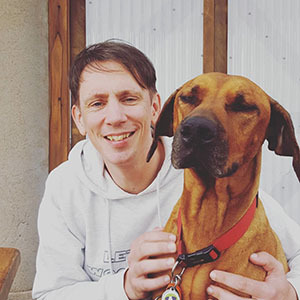 We encourage you to provide as much detail as possible about your family and your home as this helps us make sure we match you with the most suitable dog. Due to the large volume of inquiries we are unable to respond to all applications. If you are considered suitable for the dog you have applied for you will be contacted witihin one week of applying. Please note: we do not organise any meet and greet without a completed expression of interest form. 1)	Completing online application form - only shortlisted applicants will be contacted. 4)	Adoption trial spanning four weeks. We ask that you pay the dogs adoption fee at the beginning of the adoption trial, however this will be refunded if for any reason the dog is not working out in your home within the four week period. We offer a four week adoption trial to make sure that you have plenty of time for your new dog to settle into your home and so we can offer you full support during this period and beyond. 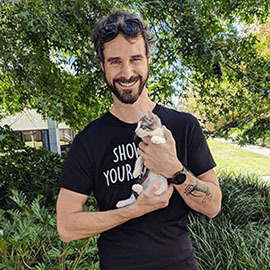 We offer a free health check with our vets at Kawana, Browns Plains, Jindalee or Kedron vet clinic after you’ve adopted your dog and every dog in our care is up to date with all vet work.